Leland (Lee) Lynch Haggerty was born on April 20, 1918 in Canton, Illinois to Audra Bennett Lynch and Paul Frederick Haggerty. He died peacefully at home with family on October 21, 2018 at the age of 100.5. Leland spent his early years between Canton, Illinois and the Lynch family homestead in Poplar Montana. 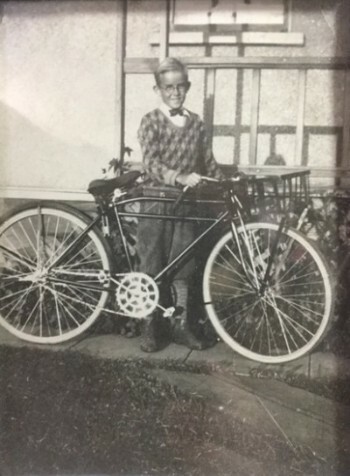 When Leland was about 5 years old, he and his sister Virginia were spirited away to Longview, Washington, where they were raised by their mother and grandmother, Pearle Ina Lynch. Leland graduated from R. A. Long High School in 1936 and moved to Seattle where he attended the University of Washington, and worked as a draftsman for Puget Sound Title Company and the U.S. Corps of Engineers. 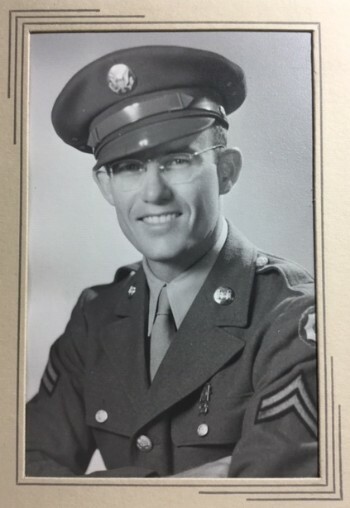 During WW II, Leland served from 1943 - 1946 with the 1635th Engineer Construction Battalion C on the island of Ie Shima, near Okinawa. Upon discharge he returned to Seattle and worked as an engineering draftsman for the U.S. Coast Guard. 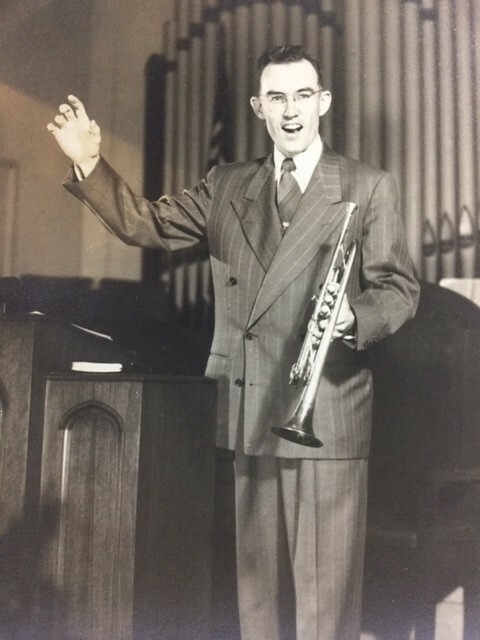 Leland pursued many interests: Mountaineer, skier, draftsman, musician, choir director, radio broadcaster, performing and graphic arts. He also became a follower of Jesus Christ and directed his talents into serving Him. 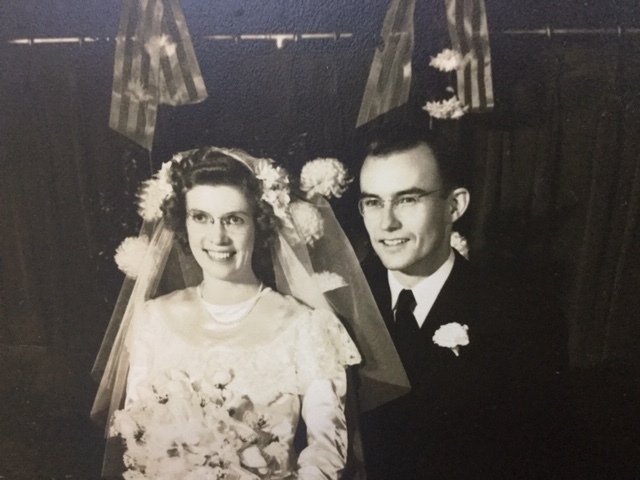 On November 16, 1946 Leland married Dorothy Estella Read, a pianist/organist and they went on to serve in music at Hillcrest Presbyterian Church, Tabernacle Baptist Church, and Emmanuel Bible Church. 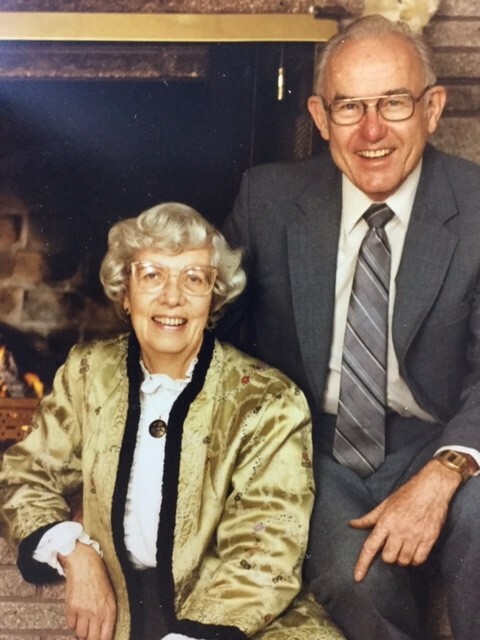 In 1957 Leland and Dorothy packed up their four children, ranging from 2 to 10 years old, and boarded the freighter “Island Mail” for a six-week voyage across the Pacific to work with a new radio ministry in Taichung, Taiwan. 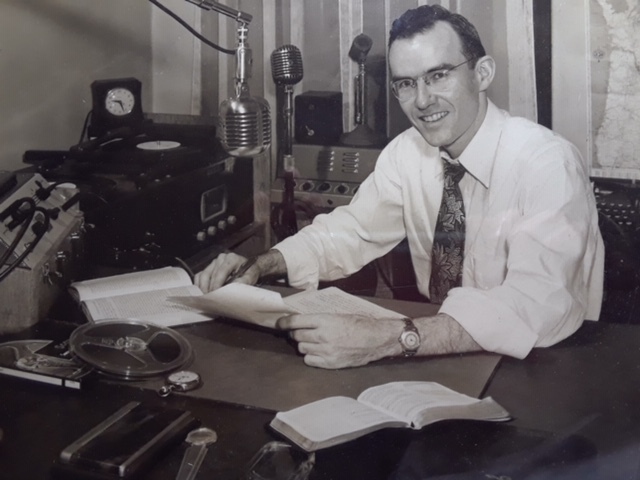 In 1960, Leland, along with co-founder Doris Brougham and a team of Chinese co-workers, expanded the radio work, which became Overseas Radio & Television, Inc. (ORTV), headquartered in Taipei, Taiwan. This also led to the forming of the Heavenly Melody Singers and the Studio Classroom English teaching program and magazine. 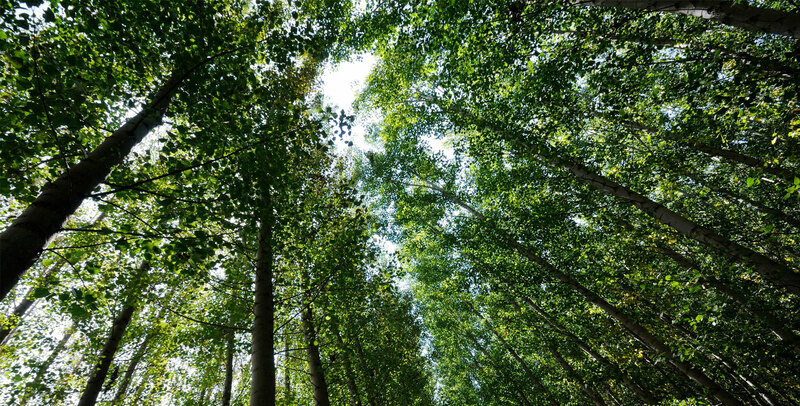 Amazingly, in 1958 Leland was reunited with his father, Paul Haggerty, due to unrelenting efforts by his paternal grandmother, Olive Haggerty, who managed to trace him to Taiwan. After 30 years in Taiwan, Lee and Dorothy returned to Seattle to serve ORTV in the U.S. In the years following, he became caregiver to his father Paul and then to his wife Dorothy. He was a good friend and family man, generous with his time and resources, ready to give a helping hand, and always keeping his sense of humor. Leland is survived by sons Gordon (Patricia) & Donald (Kathy) Haggerty, daughter Barbara (Roger) Maynard, granddaughters Deborah Haggerty and Lisa (Nate) Witty, grandsons Brian (Jan) & Paul Haggerty and great granddaughters Lamaiyah Haggerty and Brooklyn Witty. Leland was preceded in death by his sister Virginia, his wife, Dorothy (September 12, 2005), son Robert, and granddaughter Rebecca. Lee’s passing leaves an open seat in the Crazy Caucus – nominees should have a sense of humor, remain young at heart, and never forget how to play. Memorial Service will be held on Saturday, December 22, 2018 at Tabernacle Baptist Church, 16508 8th Ave NE, Shoreline, WA 98155. WOW! What a wonderful heritage! I went to Morrison with some of his children, but I think they were all older than me. I remember both of your parents with such fond memories. The pictures just above, of your parents and your dad with the hat are the way I remember both of them. I did some typing in your parents apartment, for ORTV. Spent many good times with them. Always enjoyed your dad's sense of humor. I have great memories of ORTV, that is where I met my husband, Edwin Jordan. You have two wonderful parents! If we live for another month, we will have completed 50 years of serving in Taiwan. We knew your parents and appreciated sharing with them when the opportunity afforded. We want to "mourn with those who mourn." Romans. 12:15 We realize that those mourning are the ones left behind, but "to die is gain" in Christ. (Phil. 1:21 On one hand we mourn with you and on the other, we rejoice in Leland's victory in Jesus.